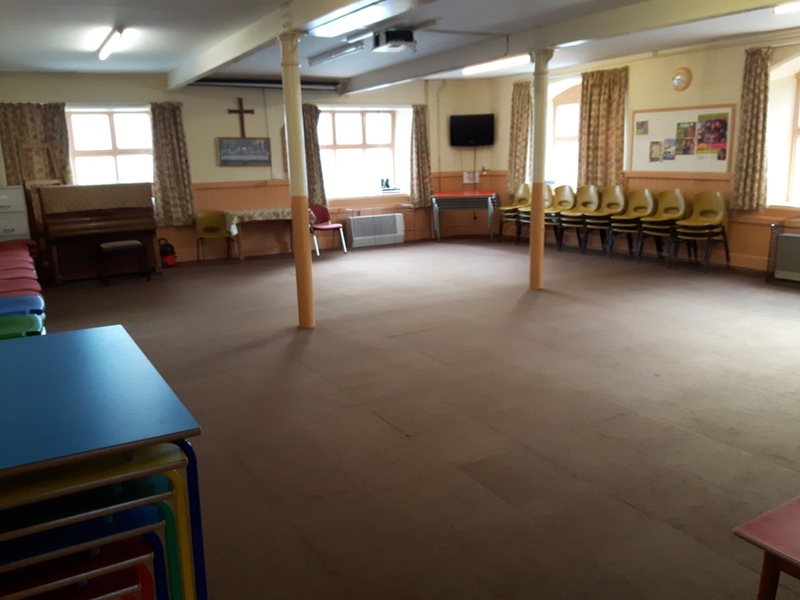 Salisbury Road Baptist Church has been blessed with a large premises and we are happy to offer rooms for external rent. We have two rooms that are regularly rented to external organisations, the details of which can be found below. We also have several other smaller rooms that can be used as meeting rooms so please get in touch for further information. A copy of our rental agreement can be downloaded below. We encourage you to read this document, which will assist you to determine if our property is a suitable venue for your function. The main hall is a large sports hall style room that can comfortably accommodate 100 people. The hall has it's own dedicated toilets including a disabled toilet and baby change facilities. 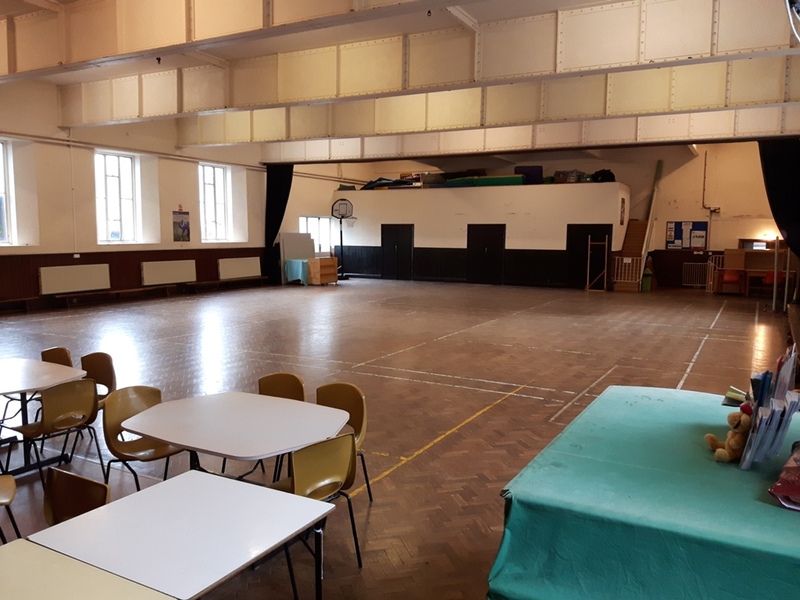 The hall also has a commercial kitchen (arrangements will need to be made for the use of the cooking facilities) and additional tables and chairs are also available. The basic room rate for this room is £20 per hour. This is a smaller hall that can accommodate around 50 people in various seating options, tables can also be provided. This hall is on a mezzanine level at the rear of the property and therefore can only be accessed via the internal staircase. This makes it less suitable for those with limited mobility. Male and female toilets are available in the next floor up and there is a small kitchen on the same level as the hall. The basic room rate for this room is £15 per hour.